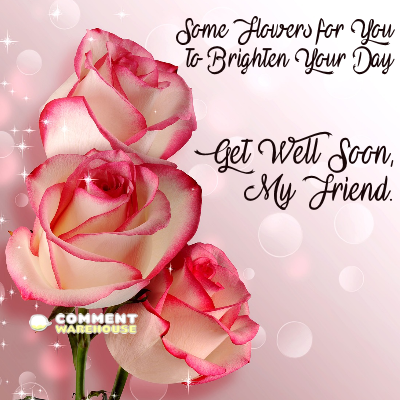 Get Well Soon Glitter Graphic – Commentwarehouse | Say it with a pic! Previous Some flowers for you to brighten your day. Get well soon, my friend.